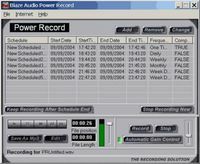 Record your LPs and cassettes to CD or MP3. 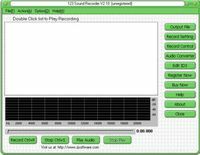 Remove clicks, pops and tape noise! 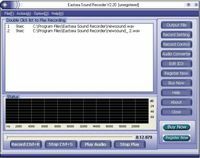 CD Ripper - Audio recorder with autosplit - MP3 Batch converter. 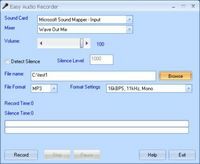 Record Voiceovers or overdub tracks quickly and easily! Use your voice to create cool sound effects; change pitch, tone & more! 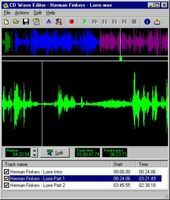 Cut and paste audio; convert MP3; record Wave files; and add effects! 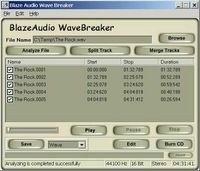 Record audio into mp3, wma, ogg files, Easy to use and Cool Skin. 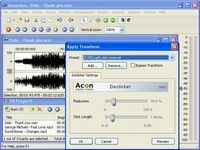 Call in dictation server for Windows. Send dictations via FTP, email and LAN.